Pallets are common at most industrial worksites. Whether it’s a large and well-established company or a small startup, pallets can be used to keep a stockroom or workshop clean, well-organized, and operating efficiently. However, certain types of materials and containers can be difficult to stack on pallets due to their unique dimensions and shape. 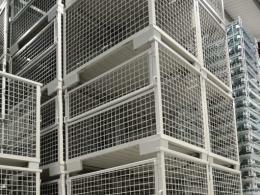 In order to provide a solution for these situations, The Workplace Depot is excited to offer demountable post pallets. This modified version of the traditional pallet can accommodate a wide variety of items commonly found in worksites and can also be easily stored away when it isn’t in use. What Is the Purpose of Demountable Post Pallets? 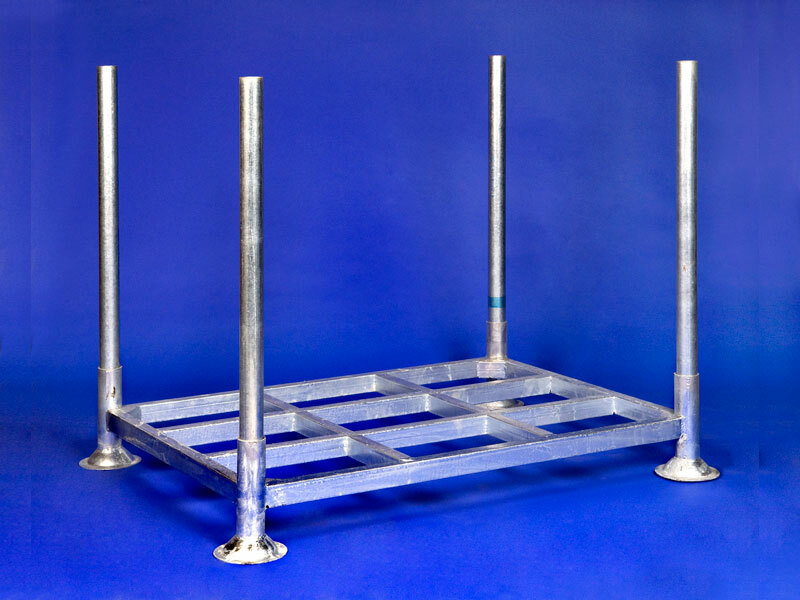 Demountable post pallets are designed to provide the convenience of a traditional pallet while also holding longer or awkwardly shaped items that are otherwise difficult to store. Keeping a workplace organized is important, as team members need access to the right materials to do the job. However, large containers can be difficult to work around when they aren’t in use. The posts on these pallets can be removed, and the pallet can be neatly stacked on top of others when it isn’t needed. This product can be used at any location where material and components with unique dimensions are used on a regular basis. The posts allow pipes, tubing, large boxes, and other units with awkward dimensions to be neatly stored and retrieved quickly as needed. Not only can this help clean up a workplace, it can prove useful in even the smallest worksite. 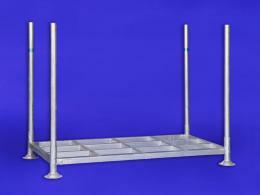 When the pallet isn’t in use, the posts can be removed and the unit can be conveniently stored away. This product can be used by anyone who has ever dealt with a messy worksite due to traditional pallets being inefficient at storing certain materials. Even if space is not plentiful in a stockroom or industrial worksite, these pallets can be brought out, assembled quickly, and put away just as fast. Versatile teams of workers who need a storage device that can be effective in multiple situations will find demountable post pallets very useful. 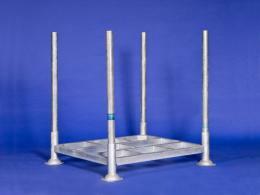 This product utilizes a fully welded construction and is manufactured from 60x40mm RHS to base. With double cruciform support on the base and 60mm tubes at all four corners, this product has the durable makeup to provide years of reliable use at any industrial worksite.